PORTLAND — With his quirky sense of humor and satirical eye, illustrator Rube Goldberg often showed humanity at its silliest – particularly with his invention drawings, which poked fun at how technology could actually complicate, rather than simplify life. 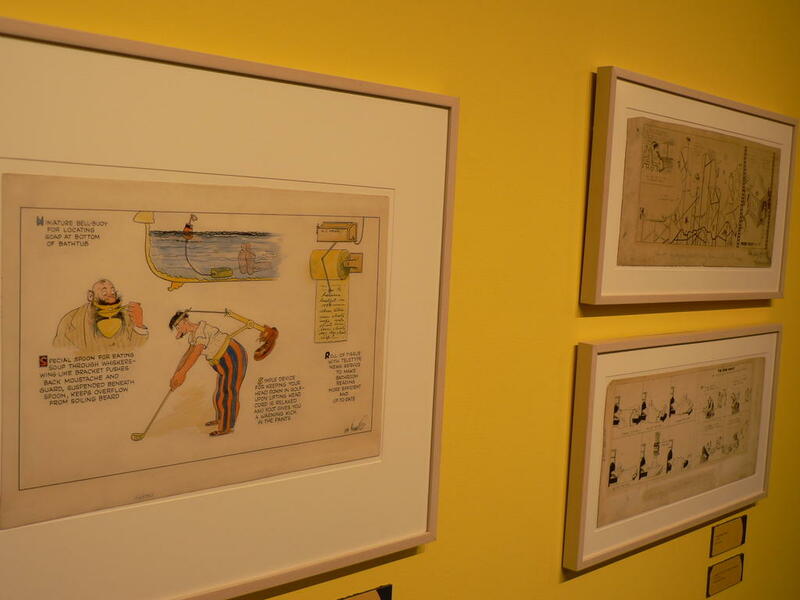 Now “The Art of Rube Goldberg,” which spans the artist’s copious 72-year career, is on display at the Portland Public Library with never-before-exhibited original works, along with his Pulitzer Prize-winning political cartoons and more. The exhibit, which runs through Sept. 22, was created by Max Weintraub at Indiana University’s Herron School of Art and Design and is sponsored by Camden National Bank. Rachael Harkness, program manager at the library, said it’s been her dream to feature Goldberg ever since the main branch on Monument Square began holding an annual exhibit of illustrations seven years ago. Along with the artwork, the library is also offering a lab where visitors can try their hand at building their own Goldberg-esque, kinetic energy machines. Goldberg’s “satirical takes on fashion, sports, politics, gender roles, and other aspects of modern life are showcased and celebrated, (while) rare family photographs and early films provide period detail and essential context,” a library press release said. Harkness said holding an annual exhibit helps the Portland Public Library showcase the “critical role” illustrators play in our enjoyment of books. “From your favorite children’s books to political cartoons, book covers, and comics, illustrations help us all understand and think about our world in different and complementary ways to words,” she said. Goldberg’s rise to fame began around 1910 and continued into the 1920s and 1930s. “I hope that people walk away (from this exhibit) with an idea of how influential the art of illustration is,” she said. 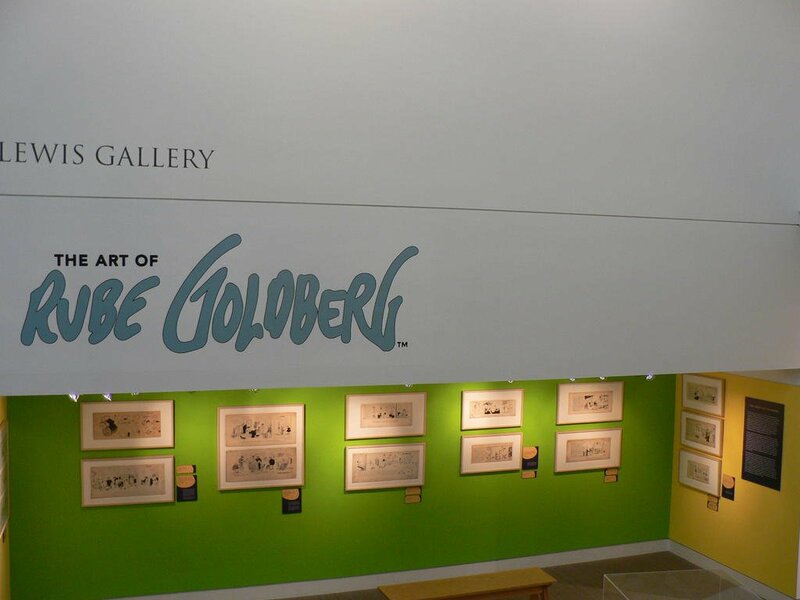 The new Rube Goldberg exhibit at the Portland Public Library includes never-before-exhibited original works, along with his Pulitzer Prize-winning political cartoons. Rube Goldberg’s invention drawings showcase zany contraptions that caught the popular imagination.